Each order is for one (1) velvet drawstring bag of faceted gemstones totaling 101 carats in weight. The gemstones vary in size between 1 and 5 carats each with the average size gemstone weighing 1 - 3 carats. The estimated retail value of each bag will be at least a thousand dollars. 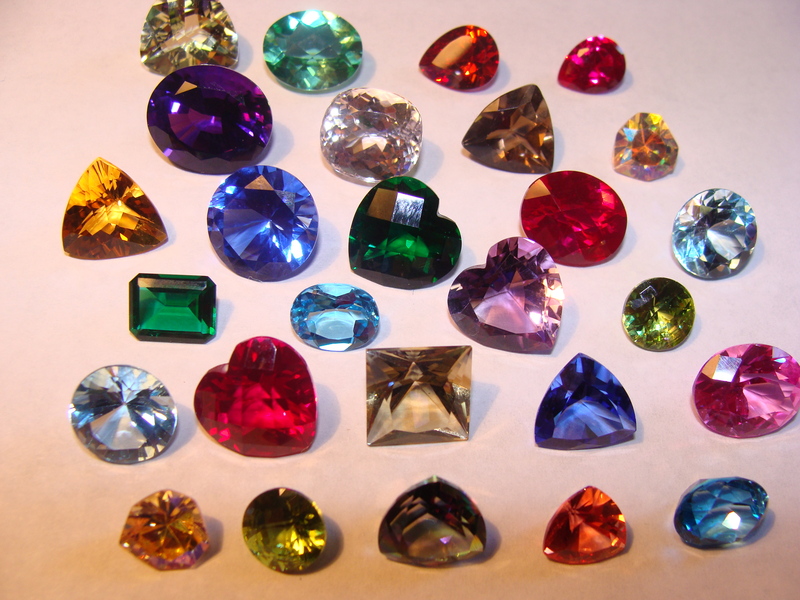 These very large lots of gemstones may include the following types of gemstones: Alexandrite, Amethyst, Aquamarine, Citrine, Emerald, Garnet, Iolite, Morganite, Peridot, Quartz, Rhodolite, Ruby, Sapphire, Tanzanite, and Topaz, in the following shapes emerald, heart, oval, pear, round, marquee, and trillion. This very large lot of finished stones contains mostly NATURAL and some lab created gemstones. All the gemstones can go directly into a ring, pendant or earring setting. All the gemstones are absolutely gorgeous as the picture above indicates. These gem bags would make a great gift for the collector, investor, or the person who just loves gems or jewelry.